Page n. 8. 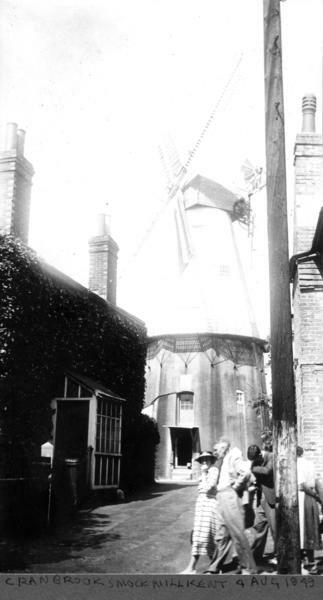 The photograph shows an external view of the mill. The mill is near some building. You can see the fantail, the sails and also many people who were walking in the street.